I’ve always been an early adopter. If you know where to look, you can find stuff still online that I posted to the Internet back in 1982 and I’ve been on Twitter since 2006, longer than anyone else I know of in Connecticut. So, when a friend suggested I look at a job as Social Media Manager for CHC a few years ago, I was skeptical. I knew how important health care is, especially for underserved populations, but I was concerned they might not be as innovative as I would like. Yet as I read more about their commitment to research and innovation and to training the next generation, I figured I should find out more. Fast forward a couple years, and I’m tweeting, and putting up posts on the blog and Facebook for CHC. I’m constantly being drawn into one discussion or another about innovations in primary care taking place at CHC. I’ve learned a lot about everything from health disparities to telemedicine. @ahynes1 You’re invited to join our #glassexplorers program. Woohoo! Make sure to follow us – we’ll DM in the coming weeks. I mentioned this to my coworkers and they were as excited as I was. 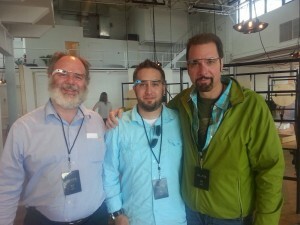 Week after week, they would ask me when I was going to pick up my Google Glass. Like other Glass Explorers, I waited as patiently as I could. Finally, in early June, I received a direct message on Twitter about picking up my Google Glass, and last Friday, I made the trip to New York with our Director of Communications and Creative Services and our Director of Innovations to pick up the Google Glass. 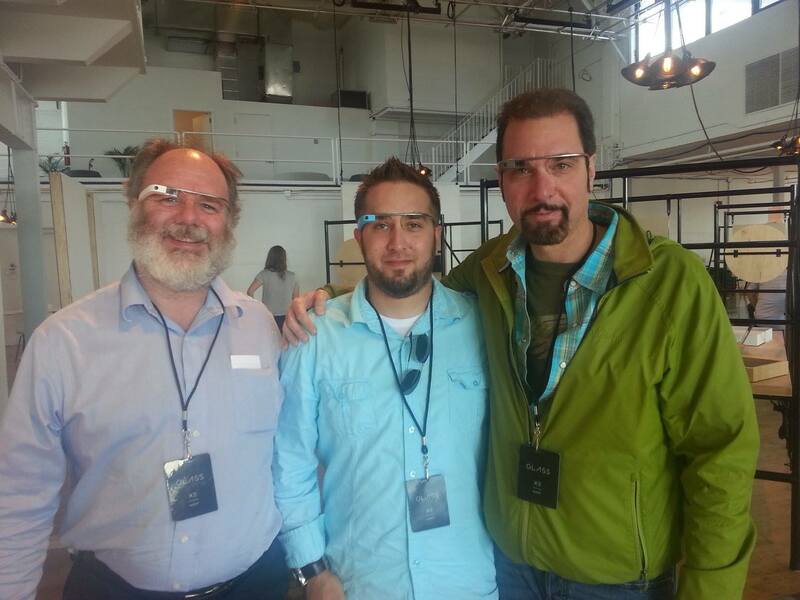 During our trip, we brainstormed about how we might be able to use Google Glass to improve health care. From simply making patients electronic health records and notes from the care team’s morning huddles more accessible to primary care providers, to using Google Glass as part of telemedicine efforts like Project ECHO or eConsults, we shared our ideas. We talked about social determinants of health and making population health data available to people as they walked around their neighborhoods. How close is the nearest park? Are you walking through a food desert? Are there other things around that make it more difficult for people to live healthy lives? We’re just starting the conversation about how we could use Google Glass to improve health care. Please join our discussion. How would you use Google Glass to help improve communities’ health?